At Brighton Implant Clinic, Cosmetic Porcelain Veneers are offered to allow you to acquire a stunningly gorgeous beautiful smile. Do you happen to suffer from discolored, worn down, chipped or broken teeth? If so, you are not alone and it is very likely that your confidence and self-esteem has been severely dented. A beautiful, white smile is a highly coveted physical trait in the society we live in. Have you ever seen a gorgeous supermodel without those gorgeous, pearly whites? If you suffer from conditions that prevent you from having the same stunning smile as supermodels, you may want to consider Cosmetic Porcelain Veneers. 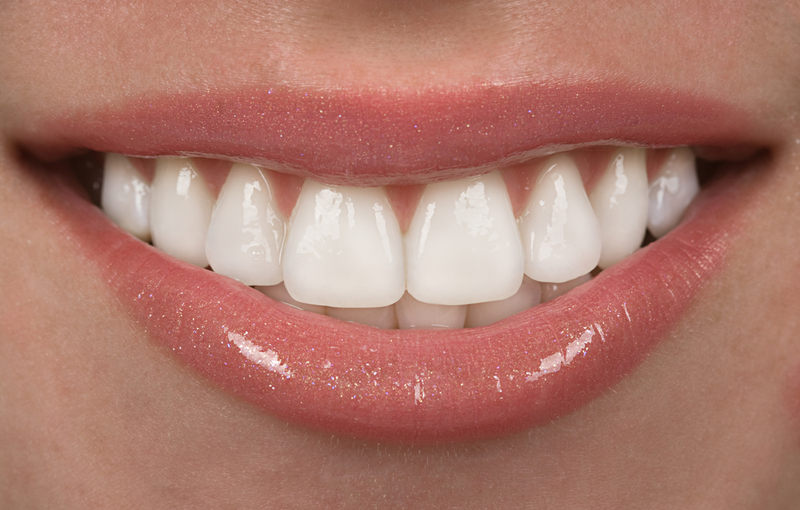 Dental veneers are very thin shells made of porcelain and bonded to the front of teeth. This procedure of installing Cosmetic Porcelain Veneers requires little or no anesthesia and really is an amazing option to improve the appearance of your front teeth. Let’s take a look at some of the primary benefits of having cosmetic porcelain veneers installed. Porcelain Veneers are extremely natural looking since porcelain and tooth enamel are both white and translucent. This means that they react to light in similar ways. In fact, others will not even know that you had a procedure done to acquire that gorgeous new smile. However, they will be sure to notice that you have a beautiful smile. Another key advantage of having cosmetic porcelain veneers installed is that they are highly stain-resistant. Due to the fact that porcelain is a ceramic, stain-producing elements simply roll right off the surface. If you are a heavy coffee drinker or enjoy the occasional glass of red wine, you can be confident knowing that dental veneers will be exceptionally stain-resistant even for you. If you are self-conscious of yellow, permanently stained, crooked, chipped or mispositioned teeth, you can change your life for the better by having cosmetic porcelain veneers installed. Your physical appearance and consequently your self-esteem will be instantly boosted. Brighton Implant Clinic will be your ideal choice for cosmetic porcelain veneers to be installed. At Brighton Implant Clinic, all laboratory work is produced in house, which means that you will be able to meet with the dental technician who will be designing your veneers. You can discuss the final appearance and specifications of your veneers directly with the technician, which means that you can be fully confident of the procedure well ahead of time. Additionally, you can be confident knowing that Brighton Implant Clinic is the most affordable advanced dentistry in the UK. If you suffer from yellow, permanently stained, crooked, chipped or mispositioned teeth, do not despair. You can have the same stunningly gorgeous pearly whites that supermodels have. Brighton Implant Clinic offers cosmetic porcelain veneers that will help you boost your confidence and self-esteem to new highs. Cosmetic porcelain veneers are incredibly natural looking and highly stain-resistant even for the coffee and red wine drinkers. 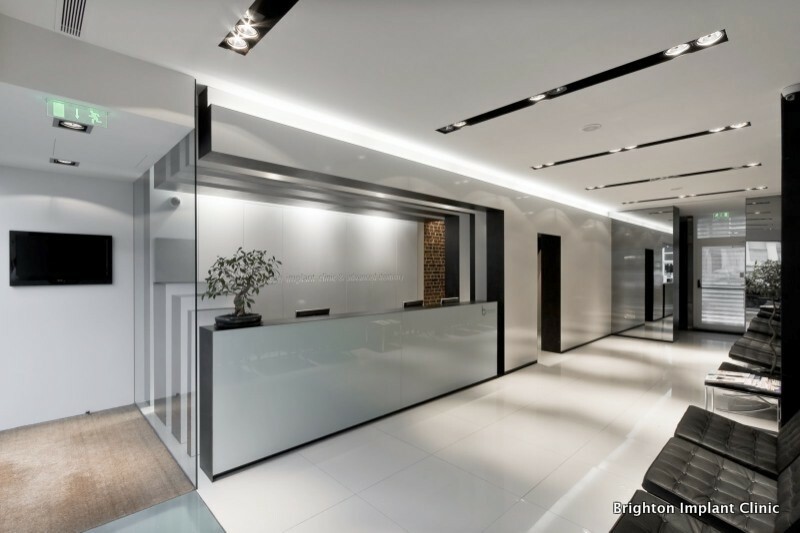 At Brighton Implant Clinic, you will have the unique opportunity to meet and interact directly with the dental technician who will be designing your own unique veneers. You can be confident knowing that you will receive Affordable Cosmetic Porcelain Veneers at Brighton Implant Clinic. For more information about Cosmetic Porcelain Veneers please feel free to Contact Brighton Implant Clinic or Call us on 0800 111 6623. A single dental implant and crown starts from £995 per tooth. If you need multiple teeth replaced the cost per tooth is much lower. We provide a free initial consultation which includes a report and treatment plan.